Filler: Cupcake box | Random moosages as I see fit. I did have an actual post for today…but I’ve had to deal with some other stuff…soooo, it’s not ready. But the post in progress amuses me…so, that’s something. 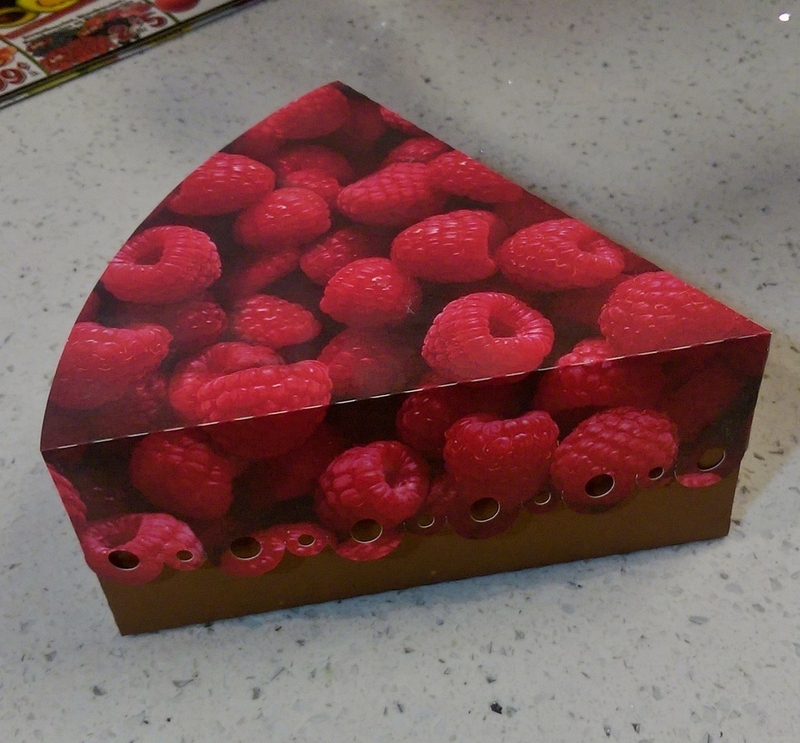 Instead, here are some cupcake boxes (or just one, but I made a set of three originally) that I made. I didn’t make the cupcakes themselves. A-pusher made them. I just fancied them up so it was easier to foist off on people. The box pattern isn’t mine. It’s from the Silhouette store. I’m too lazy/tired/other things to look up a link for you right now, but I’m sure you’ll be able to find them. I am thinking about modifying the pattern to accommodate larger cupcakes the next time I need cupcake boxes though. 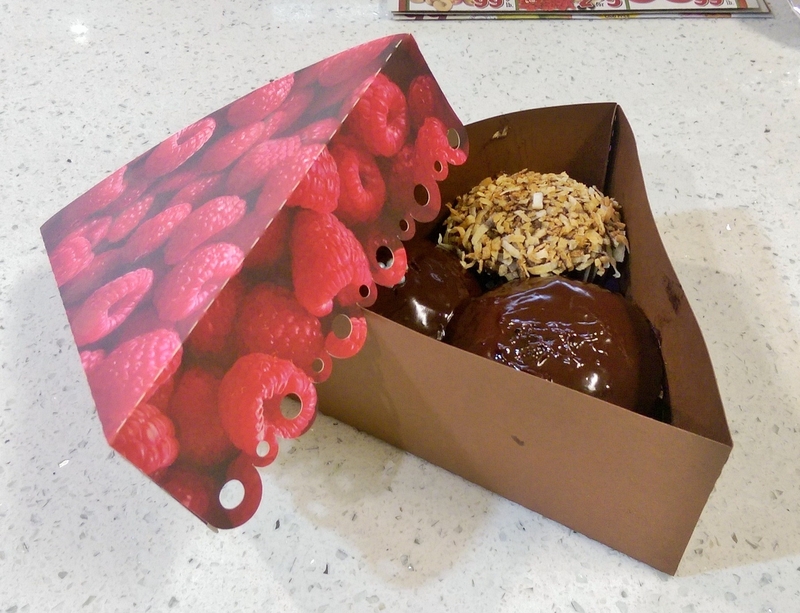 The one you see here is the raspberry/chocolate themed box as it was originally meant to hold raspberry cream stuffed fudge cupcakes. I made a strawberry/chocolate themed box and a carrot cake/cream cheese frosting themed box as well. But they are obviously not shown.